How to Climb Mt. 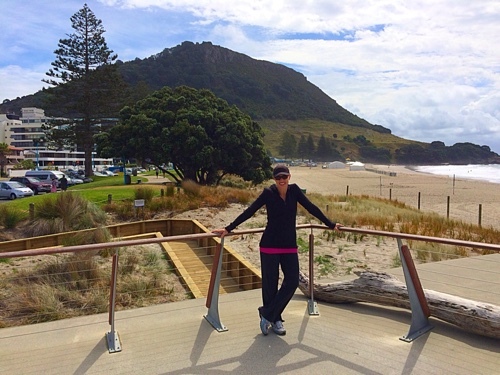 Everest Without Leaving the Beach | Fit Family Robinson | The world is your gym. 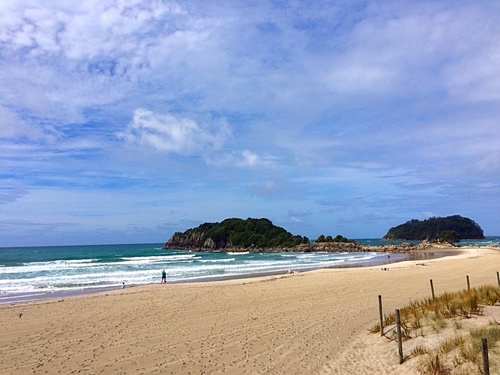 We are in Mount Maunganui, New Zealand, (aka The Mount) and while climbing the town’s namesake “Mount” today, discovered that there is currently a challenge going on. Climbing the”Mount” 38 times is the equivalent of climbing Mount Everest. 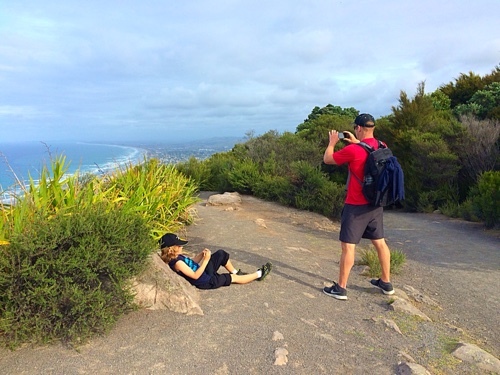 As a fundraiser for the local surf lifesaving clubs, locals are taking on the challenge of climbing the Mount 38 times in 50 days, from Feb 13 to April 3. 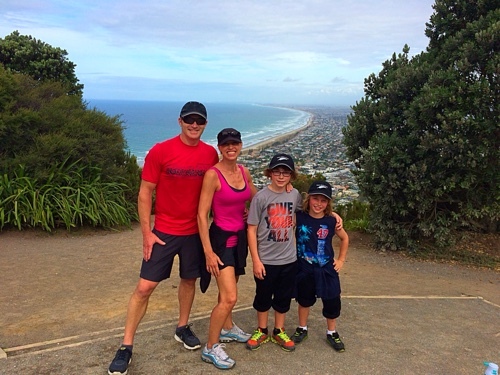 The Fit Family Robinson recorded climb #1 today. This is a great hike for families because the trail is very close to the main beach and only takes about 30 minutes to the top, at which point you have spectacular views looking down on the town and beach. 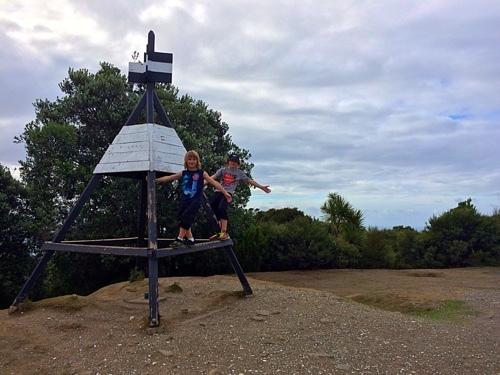 Our boys, 8 and 11, walked to the top even after a couple miles of walking to get there from the home where we are staying. A must-do if you’re ever in the area. Now, we just have to do it 37 more times! But, let’s jump to today. Brett opened up his laptop this morning to an article on MSN “TripAdvisors Top 25 Beaches in the World” And guess what? 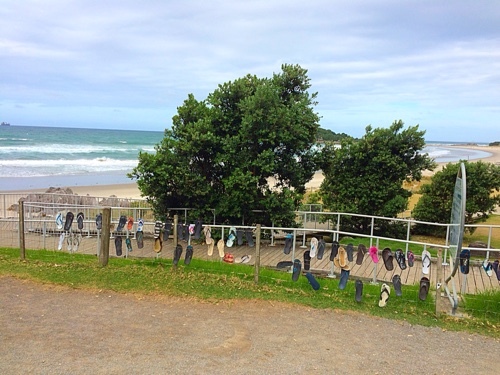 Number 25 was only 300 yards away, Mount Maunganui Beach. YES! No time to waste. 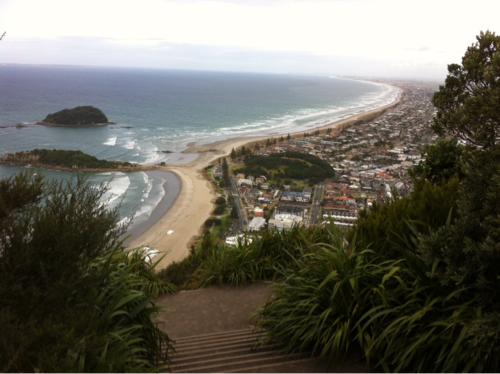 Once the homework was finished, we hit the road…walking along the beach with the goal of climbing to the summit of Mount Maunganui. The boys have been so awesome eating oatmeal or muesli every morning with fresh fruit and yogurt, but today, it was time to splurge…they were craving waffles. So after walking a few miles, right before we made it to the trail head, we stopped at the Dixie Brown’s Cafe for the boys to get their fix of “american brunch” and Brett and I got the Sunrise Omelette special. This place was perfect. We had wonderful service from Kiran, the duty manager. We loved the whole experience. 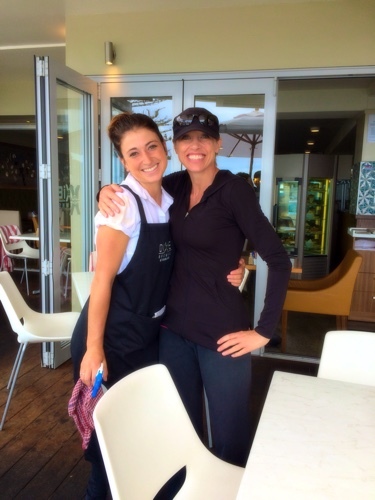 Great food, great service and great view of the beach! 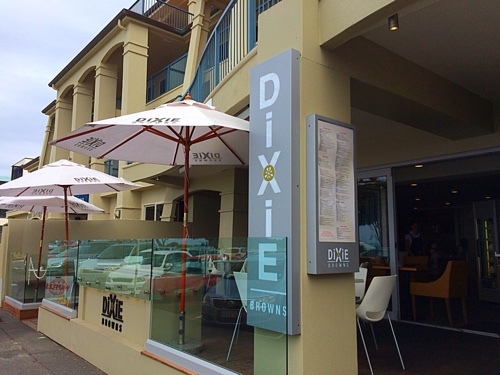 And we met Isabel who works at Dixie Brown’s, who is from San Diego but moved to New Zealand not too long ago. 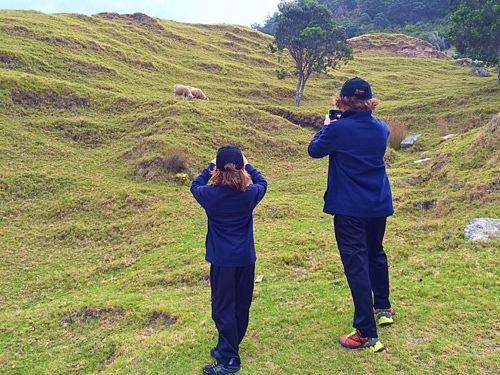 She has done student exchange in both New Zealand and Australia for a year in each place. We look forward to getting her insider tips! We were energized for the hike! It was incredible. We saw hundreds of people walking, jogging or sprinting to the summit of this mountain for their fitness. YES! We love it! Perfect Fit Family Robinson fitness. Outside, in nature…feeling the ocean breeze. At the top we met Sara. What an inspiration! She is a grandma from Hawaii who loves to hike around the globe. She is 68 and we just feel in love with her story. 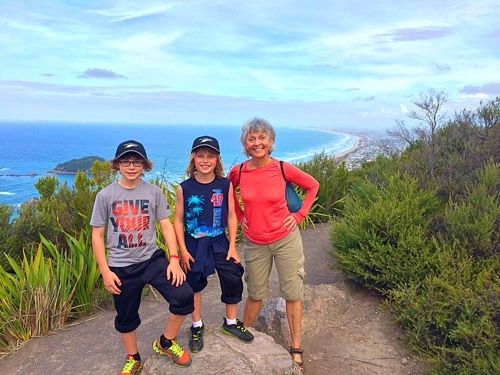 When her kids were young she took them out of school for a 6 week trip and for a 3 month trip, one to backpack around Australia and another to backpack around Europe. Best education ever! She told us when we get back to Oahu to look her up and we intend too!! On the climb down, we met Glenys and she just amazed us. She told us she wished she met us earlier in our trip because she was ready to take us into her home to house and feed us. Too bad we leave tomorrow. Next time Glenys! We walked about 8 miles today and made some lovely new friends. Love it! Not ready to leave tomorrow, so much more to explore. We will have to make it back.